If you are a contractor in Massachusetts and your looking to for a water truck rental, give MasterRents a call. Water trucks are an essential tool on any construction site. The construction industry uses water trucks for compaction, dust control and fire-prevention and protection. The entertainment industry also uses water trucks for street wet downs, fire control stand-by and many other reasons. Water truck rental in Massachusetts is made easy with the team at locally owned MasterRents. 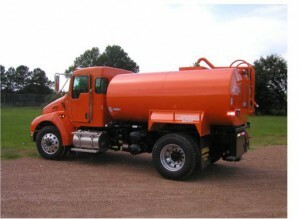 Do You Need a Water Truck Rental in Massachusetts? Water trucks are also used by the fire-fighting industry in battling forest fires. Water trucks usually consist of a series of spray nozzles equipped with the mechanics to pump and spray water to remove dust from the air. If you want to maintain a dust free work site then a water truck is the piece of heavy equipment that you must have. MasterRents also provides portable water tanks to assist in dust control, fire prevention and as a portable water source. MasterRents is here to help you with any questions you may have about water trucks or any of our other pieces of rental equipment. We have a full time salesman as well as a knowledgeable staff. MasterRents offers short term heavy equipment rentals at reasonable prices; please contact us at 978-762-RENT (7368) for more information. We look forward to serving all of your rental needs.